If you are location manager looking to source a spot to film in Lot-et-Garonne or the Dordogne. Or would like general information on hiring Le Seguinet as a film or television location, or to book for an advertising or fashion photo shoot, please get in touch. 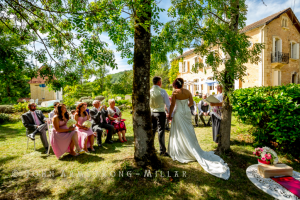 Le Seguinet is available to hire as a whole for weddings and special celebrations. Alternatively, each house can be booked separately for your French summer holiday. We are on hand to help you organise your dream wedding day; recommending caterers, photographers, florists and more.